Vermicomposting (composting with worms) is an environmentally friendly way to use your food waste. You can use it to enrich your garden for healthy, delicious food for you and your household. Set up your composter. Add damp coconut coir to soil/compost, food scraps, and bedding. The bedding should be damp, not necessarily wet. Smaller pieces of food scraps are easier for worms to consume. Make sure to allow the worms some room to move. 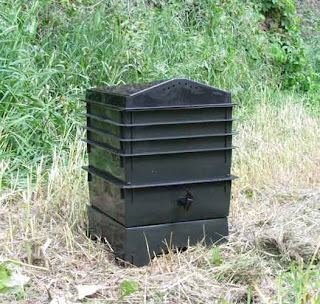 If you are using a composter like the Gusanito Brand Worm Farm Composter (pictured here), make sure that the top of the bedding reaches the bottom of the next tray. This will ensure that the worms can move upward in search of food when they are ready for it. They will continually consume the food available to them, each time improving the worm castings they create. Worms will migrate in search of more food (or to the safest environment), so they will move once they have completely consumed the food available to them. If it seems that your worms are trying to escape, you should combine some of the castings with more delicious scraps, soil, and coconut coir because your worms are searching for more food. You can use a Compost Pail in your kitchen to contain your food scraps until your worms are ready for more food. 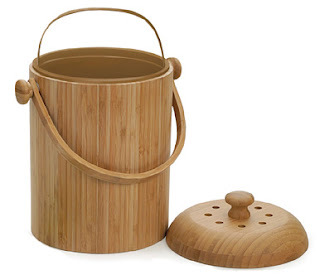 Many compost pails use charcoal filters to eliminate odors from the scraps. Harvest the worm casting as needed. Also clean the base of the composter occasionally, emptying out the worm tea. To use the worm tea for plant watering, steep a cup of it in a gallon of water overnight and be sure to use it within 12 hours. This is a brief overview of how to use a worm composter. Consider calling with questions or consulting other sources for the best results in your composting experience. The main source of information for this posting summarizes information from the Gusanito Worm Composter Instruction Manual that each customer receives with their purchase of a composter.